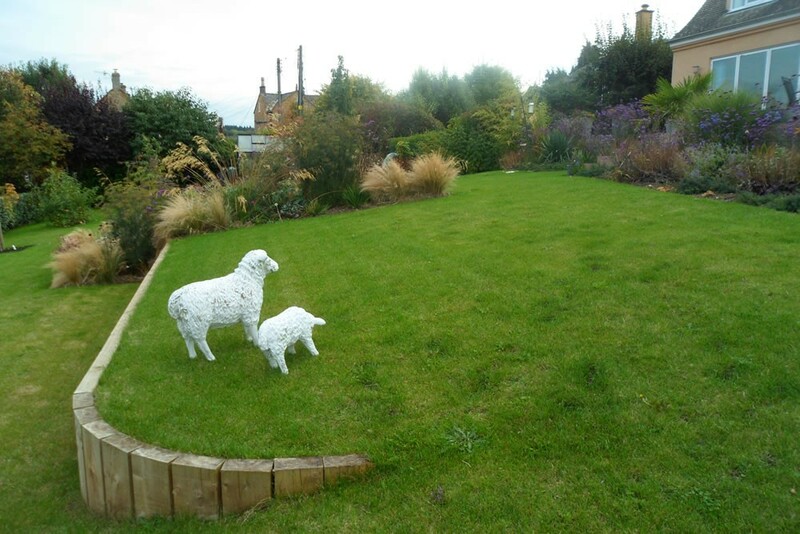 A recently modernised house with a great location and fantastic views, but sloping garden with little useable space. A composite deck was the best solution to give a generous entertaining area, with wide steps down to the lawn. 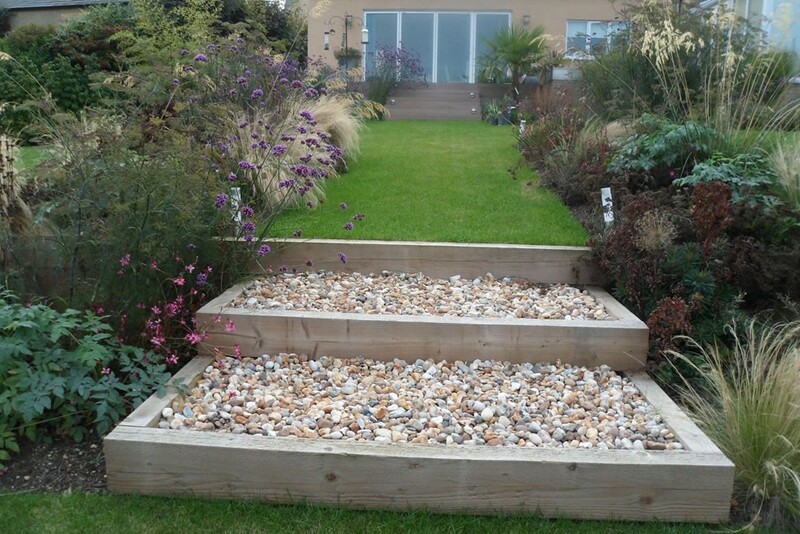 The construction of a simple timber retaining wall, took out much of the slope, making the lower garden more usable. 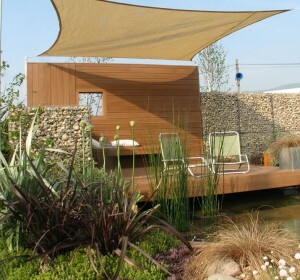 Composite decking gives a durable low maintenance surface, and stainless steel trough with water jets provides movement, and a safety barrier to the deck without affecting views to the surrounding landscape. 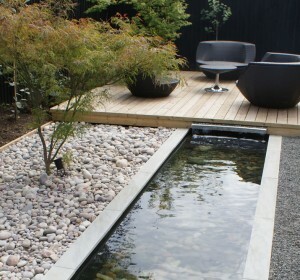 Treated softwood sleepers are an excellent solution for both curved and straight retaining walls. 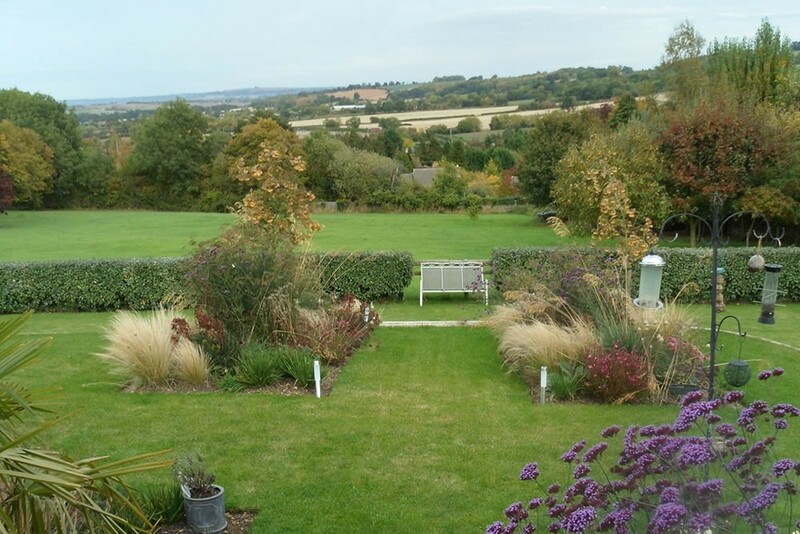 The use of grasses, notably stipa tenuissima and stipa gigantean ensures the planting is tied in with the surrounding rural landscape with the ever reliable verbena bonariensis adding colour and a simple airy structure.